Ninotchka is a Gypsy, Klezmer and Irish folk duo from deepest darkest Somerset. In their performances, Nik Jovčić-Sas and Sydney Bull, take wild Gypsy dances and lighting fast Irish jigs and mix it all together with a signature infectious punk energy that has audiences stomping and hollering throughout the night. 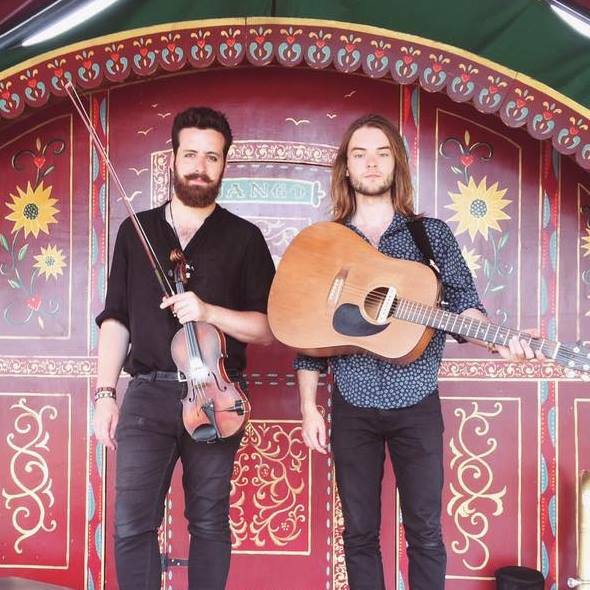 First discovered playing on the streets of Bath, they’ve now played a host of different venues and festivals including Avalon at Glastonbury 2017. Prepare for a night full of drinking and dancing with songs from Belfast to Belgrade and beyond.